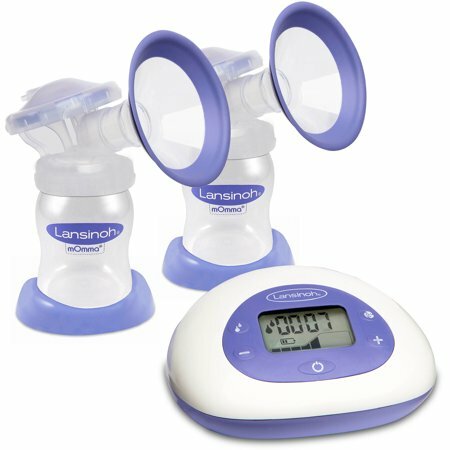 Lansinoh Signature Pro Double Electric Breast Pump with LCD Screen thats just $61.25 !!! reg price $100 !! Nice deal here for this , Lansinoh Signature Pro Double Electric Breast Pump with LCD Screen thats just $61.25 !!! reg price $100 !! The Signature Pro by Lansinoh Double Electric Breast Pump was created for moms who need to pump frequently without compromising on comfort or effectiveness. Every baby feeds differently. The Signature Pro Electric Breast pump offers three different pumping styles to choose from, allowing moms to choose the option that is most like their baby’s unique feeding patterns for maximum comfort. 8 adjustable suction levels can easily be increased or decreased to the perfect level of strength. Baby Trend XCEL Jogging Stroller, Raspberry for just $59.88 + FREE in store Pickup!!! reg price $98!! Disney Frozen Safe Start 3-Wheel Electric Scooter, for only $47.34 + FREE In store Pickup!! reg $70!! FREE + MM Almay Eye Makeup remover pads !! GOJO NATURAL ORANGE Pumice Industrial Hand Cleaner, 1 Gallon Quick Acting Lotion Hand Cleaner with Pumice Pump Bottle for just $12.79 !!! reg price $28 ! !